You're a serious man, and you need sunglasses that people will take seriously. What better way to flaunt your persona and your professional attitude than with inspired by Kenneth Cole sunglasses? Kenneth Cole made a name for himself in the 80's with a fashion style that was unbeatable at the time. Even today his products are some of the most popular fashion accessories in the world. What began with a ladies footwear collection soon blossomed into an empire that spanned everything from perfumes, purses, other shoe types, and especially sunglasses. These fashion products are now available worldwide and are worn by millions of people every single day. The problem for most people who want the same level of style offered by Kenneth Cole is that they are sometimes a bit too pricey for the average man to splurge on. Wholesale sunglasses are the obvious answer to this dilemma, but how do you know that you are getting quality, I mean, a replica is supposed to be sub par compared to the real thing, right? That may have been the case in the past, but these days replicas are just as good as the original that they were inspired by, and they can be had for a fraction of the cost of the real thing. 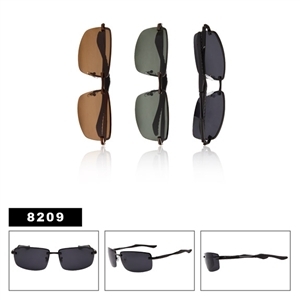 Kenneth Cole sunglasses offer men a level of professionalism that is unmatched by nearly any other brand. They are sleek and stylish, and always look great on a sunny day. No matter what your needs are, you know that you can find the fashion style you are looking for at an unbeatable price when you decide to go with wholesale sunglasses over the ridiculously expensive name brand that retailers offer. There are literally dozens of styles that you can choose from for both Xsportz and classic inspired by Kenneth Cole designs. The possibilities are endless. Factor in the amount of money that you will be saving in buying wholesale and you'll want to get as many pairs as you can. It doesn't take a rocket scientist to add up the savings, although rocket scientists look very suave in inspired by Kenneth Cole sunglasses as well. Some of the more popular brands besides these are the wholesale killer loop sunglasses. When you purchase online, you can get a dozen pair for the incredibly low price of only $20. That's WAY less than you would have to shell out at a local retailer, and you can stock up on as many pairs as you want. At that price, why wouldn't you? Wholesale sunglasses are the wave of the fashion-oriented future, and it's time you hopped on the bandwagon and found out what everybody is raving about. Looking good doesn't have to be expensive; you just need to know where to look to get all your fashion accessories. No matter what your favorite style is, you can find it here. All types of men's wholesale sunglasses are flying off the shelves now that people are realizing the amazing benefit to buying wholesale. 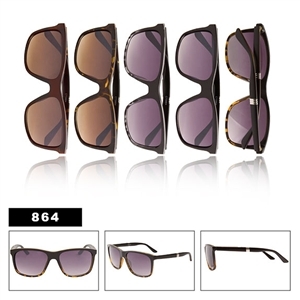 It has never been easier to look good in a new pair of inspired by Kenneth Cole sunglasses. Redefine who you are, buy wholesale. Please keep in mind that our sunglasses are not fakes or copies of originals. They do not have the brand names or logos on them. They are merely inspired by or compared to that of the original.